This groundbreaking anthology opens a window on a thousand years of classical poetry in Telugu, the mellifluous language of Andhra Pradesh in southern India. The classical tradition in Telugu is one of the richest yet least explored of all South Asian literatures. 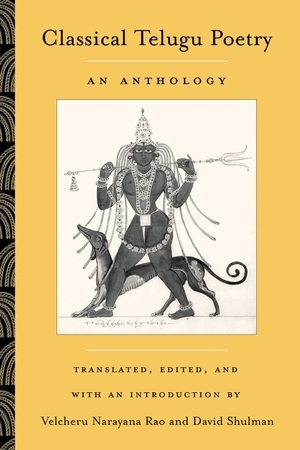 This authoritative volume, the first anthology of classical Telugu poetry in English, gives an overview of one of the world's most creative poetic traditions. Velcheru Narayana Rao and David Shulman have brought together mythological, religious, and secular texts by twenty major poets who wrote between the eleventh and nineteenth centuries. The beautifully translated selections are often dramatic and unexpected in tone and effect, and sometimes highly personal. The authors have provided an informative, engaging introduction, fleshing out the history of Telugu literature, situating its poets in relation to significant literary themes and historical developments, and discussing the relationship between Telugu and the classical literature and poetry of Sanskrit. Velcheru Narayana Rao is Krishnadevaraya Professor of Languages and Cultures of Asia at the University of Wisconsin, Madison. David Shulman is Professor of Indian Studies at the Hebrew University in Jerusalem. Together they have written A Poem at the Right Moment: Remembered Verses from Premodern South India (California, 1998) and When God is a Customer: Telugu Courtesan Songs by Ksetrayya and Others (California, 1994, with A. K. Ramanujan).